Apple may be discontinuing its AirPort line of routers—or maybe just reinventing them as something new. It’s been a weird year for Apple, product-wise. Not only were there a dearth of updates to the Mac, relatively modest changes to the Apple Watch and iPad, and very little movement on the Apple TV, but the company took the rare step of essentially discontinuing two of its product families: displays and its AirPort Wi-Fi routers. General consensus seems to be that killing off those products is about streamlining the company to focus on other projects. We’re probably still a ways off from discovering what that streamlining is in favor of, but Apple fans are hopeful that it’ll be something totally new. So here, let me tell you a fantastical tale of an Apple product that will probably never exist, but which makes a certain amount of sense in the company’s brave new lineup. A caveat: this stems from nothing more than my own imagination, not from any inside information or special knowledge. Both Jason Snell and I have laid out the case for Apple to enter the burgeoning market for intelligent agents in a standalone device. Looking at the likes of the Amazon Echo and Google Home, it’s not hard to imagine Apple packaging a great-sounding speaker with an array of microphones with which to interact with Siri. And like the Echo and Home, the Siri Speaker would serve as a speaker for playing back music over the network, via a hopefully improved version of the AirPlay protocol. Ideally, it would even support syncing playback to multiple speakers around the house, à la Sonos and Google Home. And, naturally, it would have Apple Music built in, letting you play back any song from the immense catalog with just a few words. So far, so good, but there’s nothing particularly new about an audio playback device with a voice-activated agent in it. Let’s take it a step further. 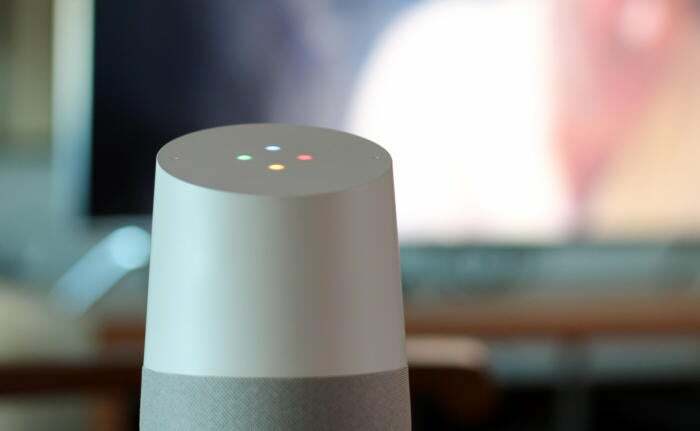 As long as you’ve got an always-on device sitting in your living room, and given that you can already control your home devices via Siri, you might as well put that device to work with some additional home-related features. So let’s make it a hub for dealing with all of your smart home gadgets. With iOS 10 you can already use an Apple TV or an iPad that’s always at home for this, and there’s no reason for Apple to remove that capability. But having a dedicated device makes home automation an option for those who aren’t in the market for either of those. We’ve upped the usefulness of this device a little bit, but it would still seem to be a far cry from anything really new. Here’s where I think Apple could potentially take a step up on its competitors: what if the Siri Speaker wasn’t just another device on your network, but included the hardware needed to run the network too? Instead of having a Wi-Fi router and a speaker, combine them into one—the AirPort line would not have died in vain. Ideally, a router ought to be a set-it-and-forget-it piece of hardware. Even for tech-savvy people, the more time you spend futzing with it, the more likely you are to screw something up. Apple did a pretty good job of making its AirPort line simple and easy to use, and building it in to a device with Siri seems as though it could improve on that. Plus, a direct hardwired connection would make sure that the device has the best network connection available. I realize this is perhaps the toaster-fridgiest idea of all time, just shoving all of these features into a single Frankenstein-like device. But there is a certain synergy here: all of these features are network related. This single appliance becomes the single hub of your house’s Internet connection and smart home management, all controllable with a voice-based interface. As I said, I doubt that Apple will follow this path, much as I enjoy indulging my imagination. But the company is poised to deliver something new in the year to come, and while this may not be the most significant gadget that Apple has ever released, it could definitely be an ecosystem play that’s right up its alley.